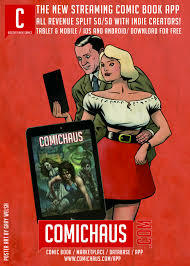 I’m not entirely sure what attracted me to this original graphic novel from Ed Brubaker and Sean Philips. The title. The look of the cover. Or the fact that I had absolutely no idea what it was going to be about and that’s quite a rare occurrence these days. I loved it. The pace. The dialogue. The character interaction. The art. The colours. The musical references and, to top it off, the surprising way the story develops. Tightly paced and never too indulgent or overstating its welcome, this book is close to perfection. Read it and you’ll understand why it’s currently on top of several comic graphic novel charts. One of ComicScene UK magazine favourites of the year!